Recently I was asked why I photograph things that disturb me. I don’t entirely know how to answer that, but I’d start by saying it’s part of my process for making sense of the world. It’s a record. And in those images I look for patterns or the absence of pattern. Human perception and memory, being subjective and often unreliable, can benefit from some stills captured. 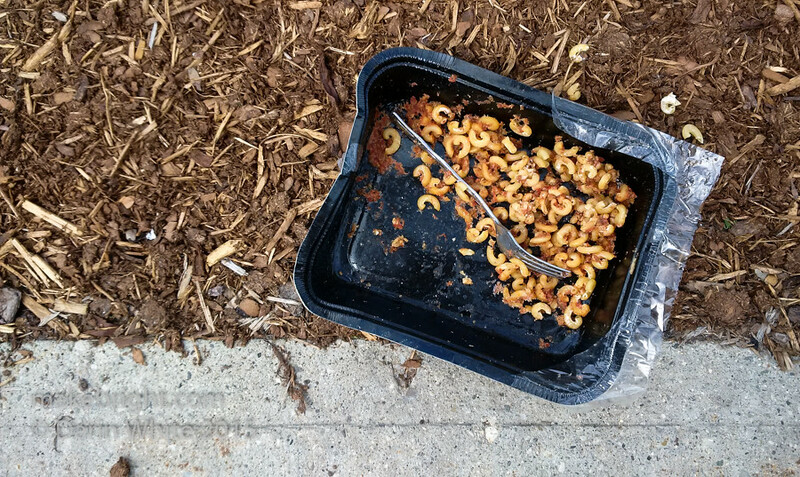 Today, two weeks after shooting this half-eaten macaroni dinner discarded at the side of Charles Street in DTK, I go back to that photo and notice that the fork left in the box is metal flatware and not disposable plastic. What does that mean? 1. Focusing exclusively on the positive makes me a contributor to a potential reality distortion field here in Waterloo Region. “Everything is awesome!” Cheerleading in moderation makes everyone feel good. Too much of it leads to self-delusion. Gotta shoot for balance and some objective understanding of our ecosystem. 2. For us to robustly prosper as a community, we’ve really got to put a hand out to those most in need. The problems are complex and difficult, but if we can’t help the most vulnerable within our community then all the economic prosperity of tech companies and reinvention of manufacturing and world-leading scientific research in WR won’t make us whole. 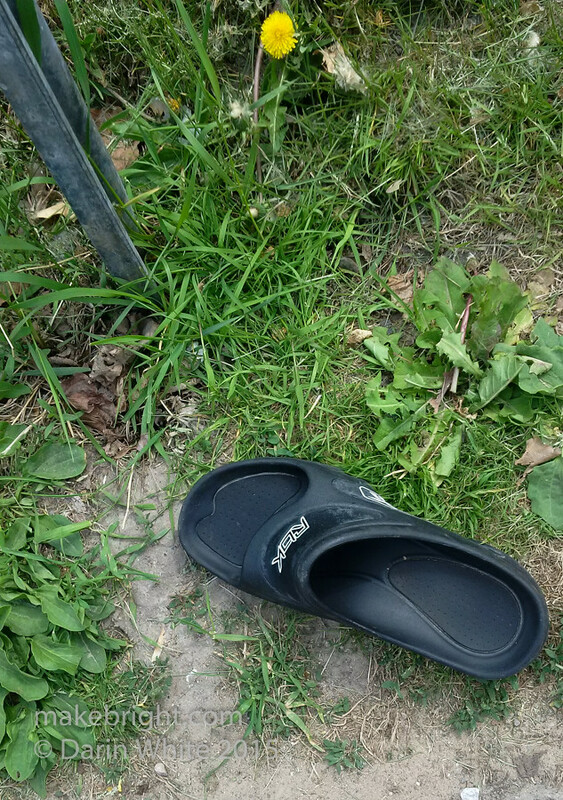 Single sandal abandoned in Waterloo. Again, maybe there’s a perfectly good explanation where person now shuffling off with only one sandal is perfectly ok. But it’s an outstanding question. I found these pants on Michael Street at Victoria. I’m going to keep watching for signs on the trail. 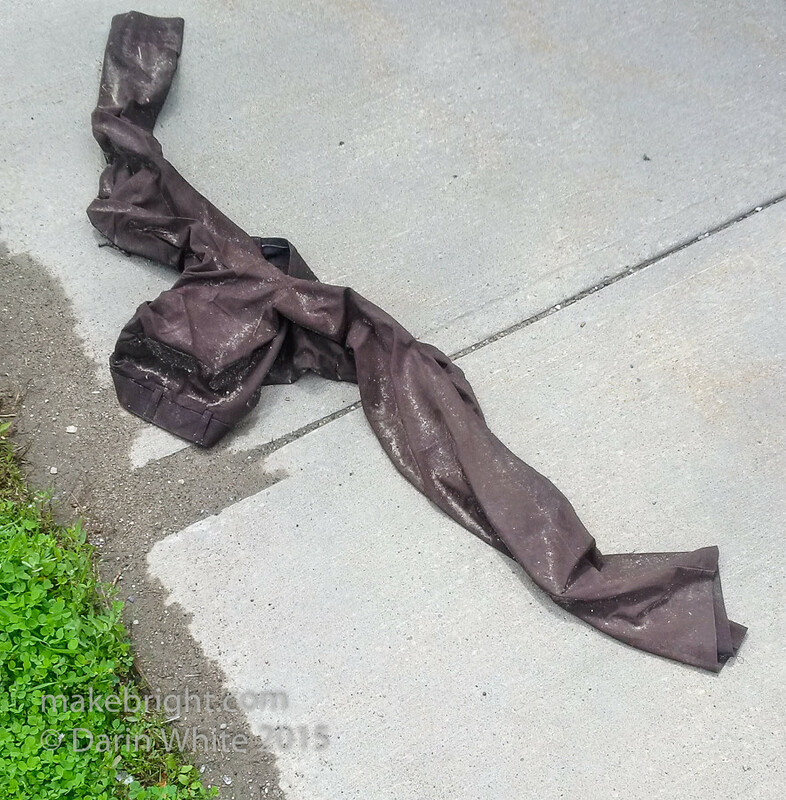 This entry was posted in community and tagged need, Waterloo Region. Bookmark the permalink.